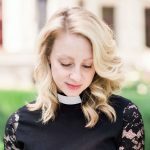 It’s not every day that you see a pastor hit the mainstream media. However, Ruffled By Grace was recently featured: Rock N Roll Bride! Undoubtedly, we have arrived! I was beyond ecstatic to see the feature arrive on the blog. Furthermore, I was over the top excited to see the kind words from the couple about the ceremony. I worked with Alice and Simone to create a bespoke ceremony. It was important that the ceremony spoke to their hearts. More than anything, I wanted their ceremony to reflect their love. Hence, it needed to resonate with them, as a couple. To that end, we chatted about faith, life, childhood, and culture, to create the perfect ceremony. Most of all, they wanted it to be fun and not “uptight.” Therefore, I knew my task would be to get them laughing! Most of all, I’m in love with photo showing Alice giggling. It was PERFECT. Indeed, everything was perfect. From the calligraphy, to the shoes, to the Harley the day captured the essence of these two. Photographed perfectly by Rachel and Becky, their vow renewal in Paris was a dream. It may have been a chilly morning in Paris, but there was enough love to keep us all warm. The perfect backdrop for this super chic and chill ceremony was Sacré Cœur Basilica. It’s strong architectural lines and grandeur provided just the atmosphere this fierce couple needed. Certainly. Alice and Simone had the most fabulous Paris vow renewal ceremony. 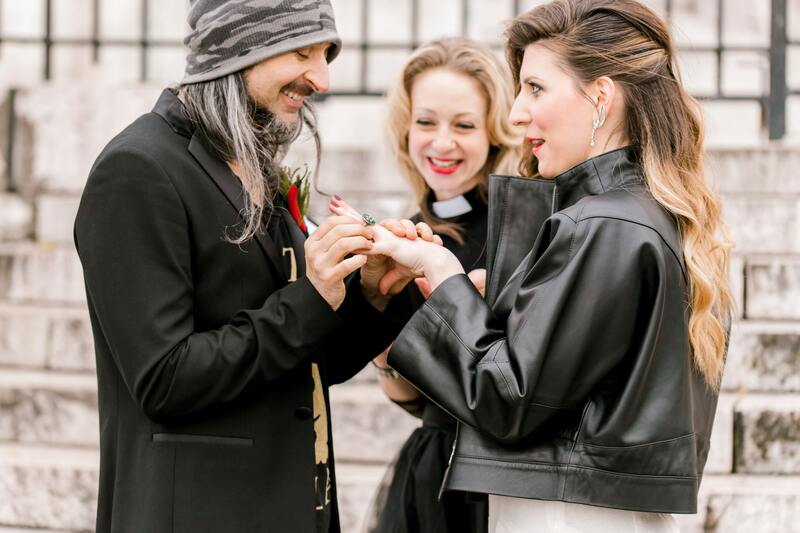 Want to be your own Rock N Roll Bride in Paris? Let’s Get This Party Started!